The City of Regina will decide on January 28 whether or not to gift the YWCA the land of Lucy Eley Park. After over 50 years downtown, the Regina YWCA is eyeing a new location and expansion in the Cathedral neighbourhood—and the city may help. The Finance and Administration Committee recommended gifting the land to the YWCA,, similar to their current downtown agreement. At the meeting on January 8th the YWCA Regina, Mobile Crisis Services, REACH and other organizations addressed the committee about the YWCA's proposed new building and location. 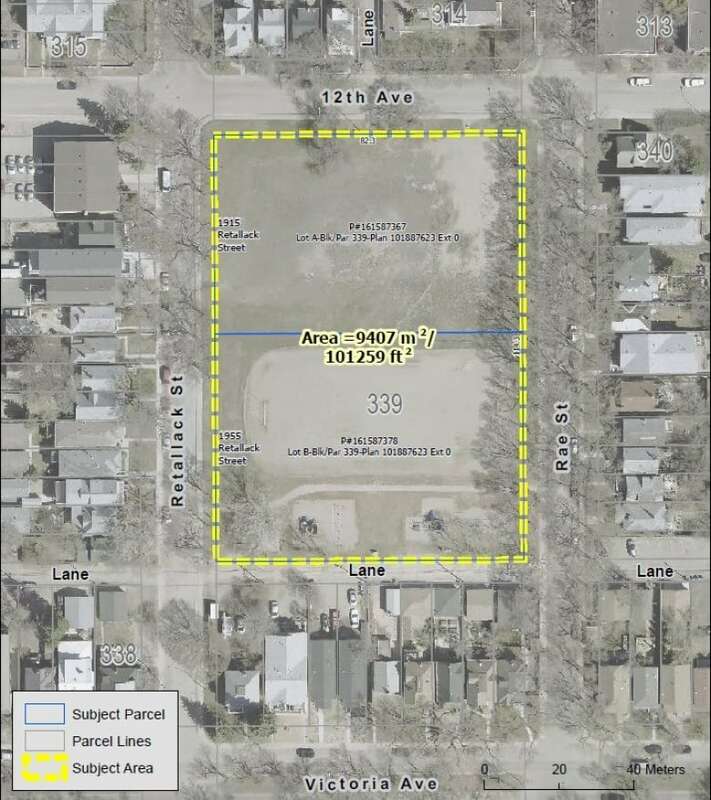 The recommendation said the property of Lucy Eley's Park in between Rae St. and Retallack St. by 12th Ave. should be gifted to the YWCA. The park was appraised most recently as being worth over $2 million and is the former site of Victoria School. "This project and the idea of creating wrap-around services for some of our most vulnerable people is something that we've all been looking for opportunities to do," said Melissa Coomber-Bendtsen. "It's a long time coming." Coomber-Bendtsen is the CEO of YWCA Regina and said the organization has had to turn away many women in the past "and those numbers are increasing." "Being able to do our work as well as other community organizations being able to do their work with a trauma informed lens really does need the appropriate space," she said. "And prevent women from entering into the shelter system." When the currently location was constructed in 1968, the City of Regina and YWCA entered into an agreement that the land would be leased for 99 years at a rate of $1/year. If approved, the lease agreement would also be in place at the new location. 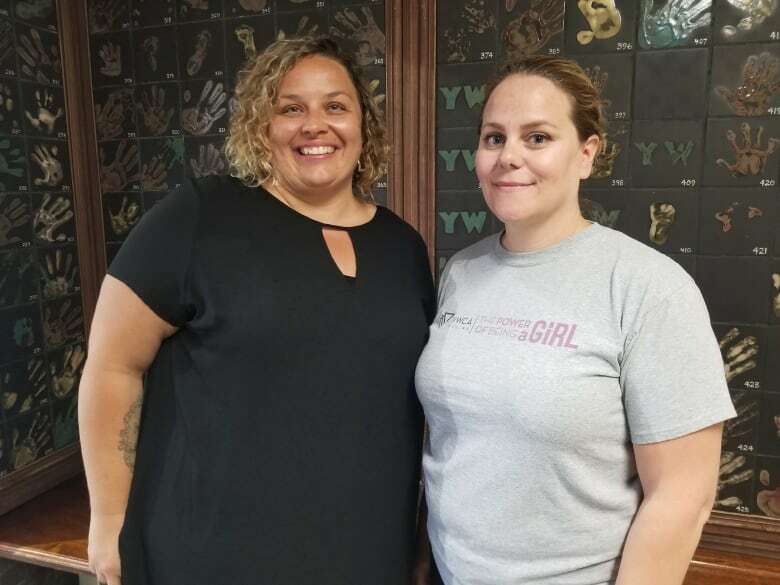 Coomber-Bendtsen said the YWCA is now taking their land request to the city council meeting on January 28, 2019 to see their decision. "From there we'll continue to work with our friends in the provincial government and the federal government to help support the project," she said. "Then we'll be looking to the community to finish that project off the next couple of years." Coomber-Bendtsen said one interesting aspect behind the idea of the new centre is to bring the community into their work. She said the work can inadvertently be isolated to one population or issue. "We recognize the kind of power that having community present has on people," she said. "So the centre has a concept that provides multi-use space, gathering space, recreation space that would be open to the community." Coomber-Bendtsen said a number of other organizations have been involved or would be involved in the new space. She said the Mobile Crisis Unit may move in, Carmichael Outreach would be involved and REACH would expand their services. "And then we've partnered with All Nations Hope to create that community space to be informed by traditional indigenous healing and ceremonial space so the centre's concept has the first indoor sweat lodge in our city," she said. "Having the capacity to provide those kinds of long term healing opportunities was a big piece of the puzzle." The project is estimated at $35 million dollars. She said she's excited about the recommendation to gift the land. "We have been doing lots of advocacy work and lots of work with our government partners," she said. "There's a real recognition of the kind of cost avoidance and long term impact that this can have." "The commitment and enthusiasm is very important to the project," she said of the city. "It's very motivating."